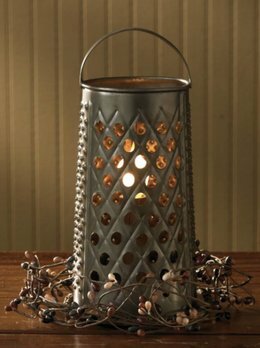 The Cheese Grater Lamp is an affordable reproduction of a vintage grater. Perfect for any spot in your home where you want a small accent light. Also makes a great gift idea! In-stock and ready to ship! 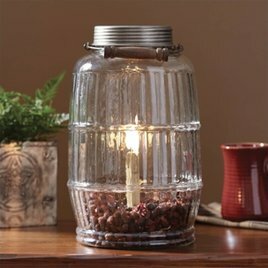 This unique glass Pickle Jar Lamp is designed with a faux candlestick that will create a warm glow in your country home. A wire with wood handle adds to the farmhouse style character. A wonderful ambient light on a buffet, entry table or kitchen counter.